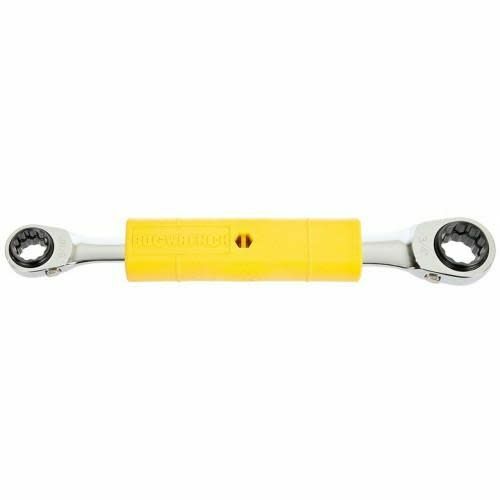 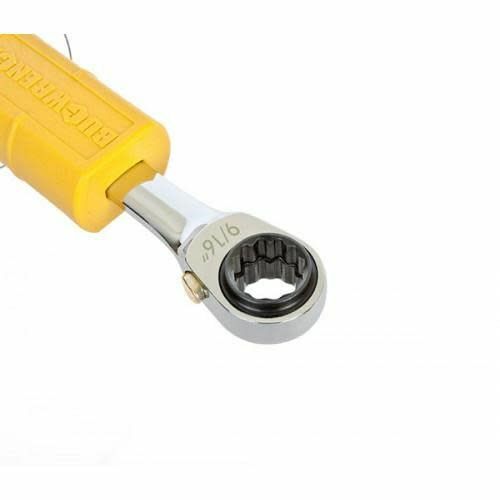 An insulated bug wrench with smooth action ratchet! 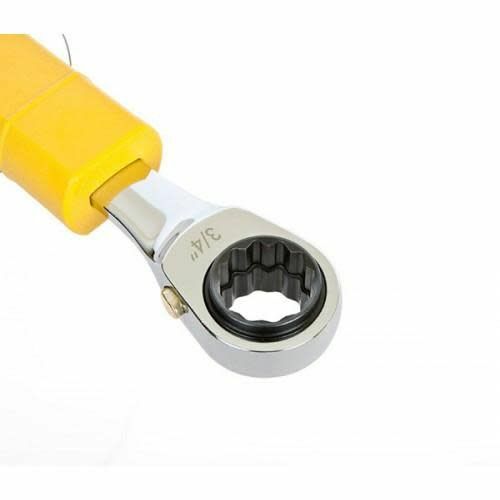 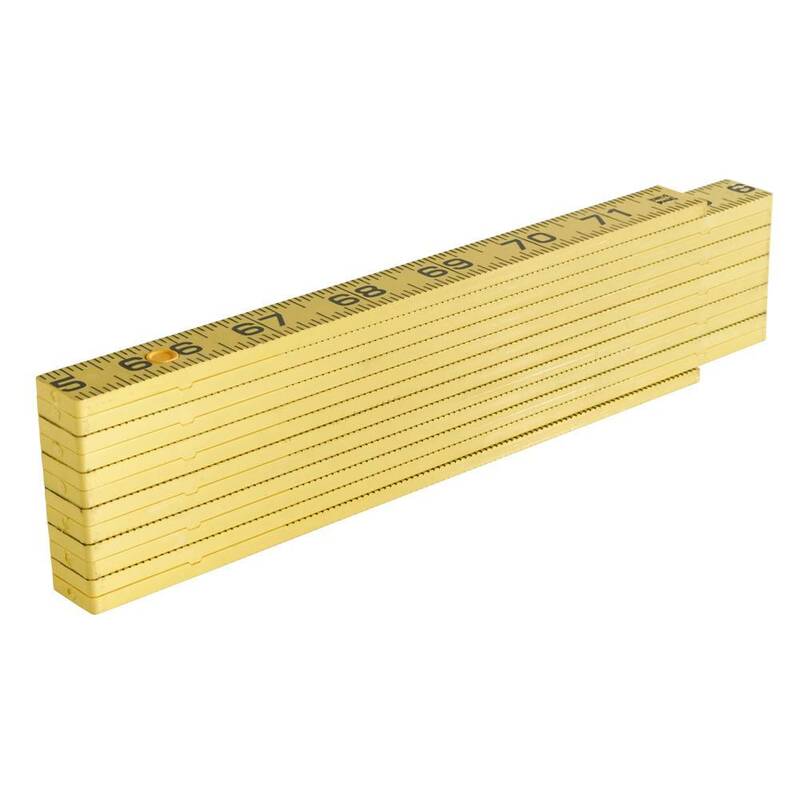 Size: * 1/2" & 9/16" & 5/8" & 3/4" 9/16" & 3/4"
Available in two sizes (4-in-1) consisting of 1/2", 9/16", 5/8", 3/4" and slightly heavier duty (2-in-1) consisting of common 9/16" and 3/4". 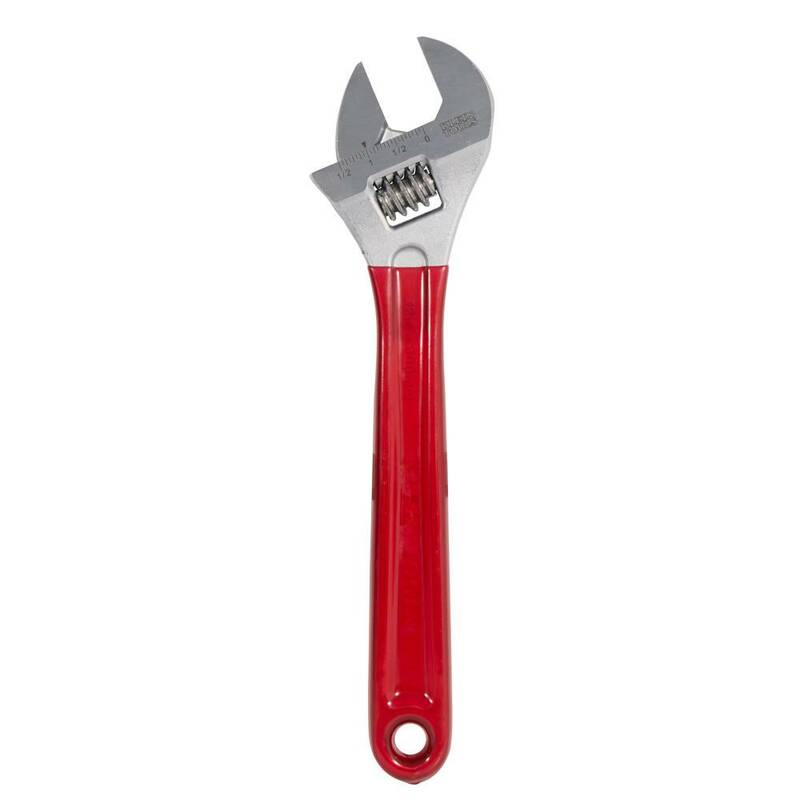 Both options are made from high quality tool steel with a durabel chrome finish for years of rust-free service. 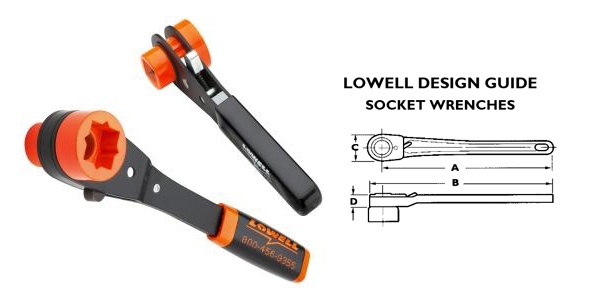 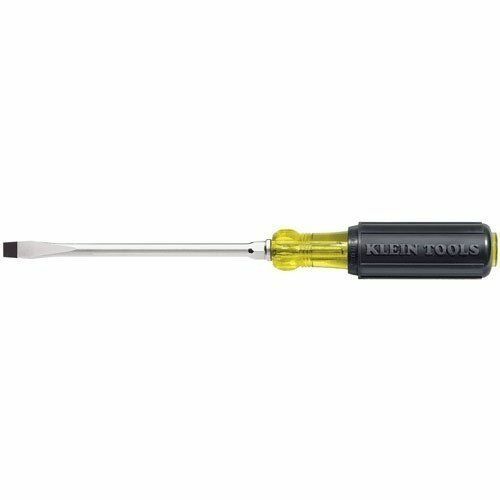 Each end is insulated with a durable dielectric polymer handle which features a port to confirm the two ends are not electrically connected. 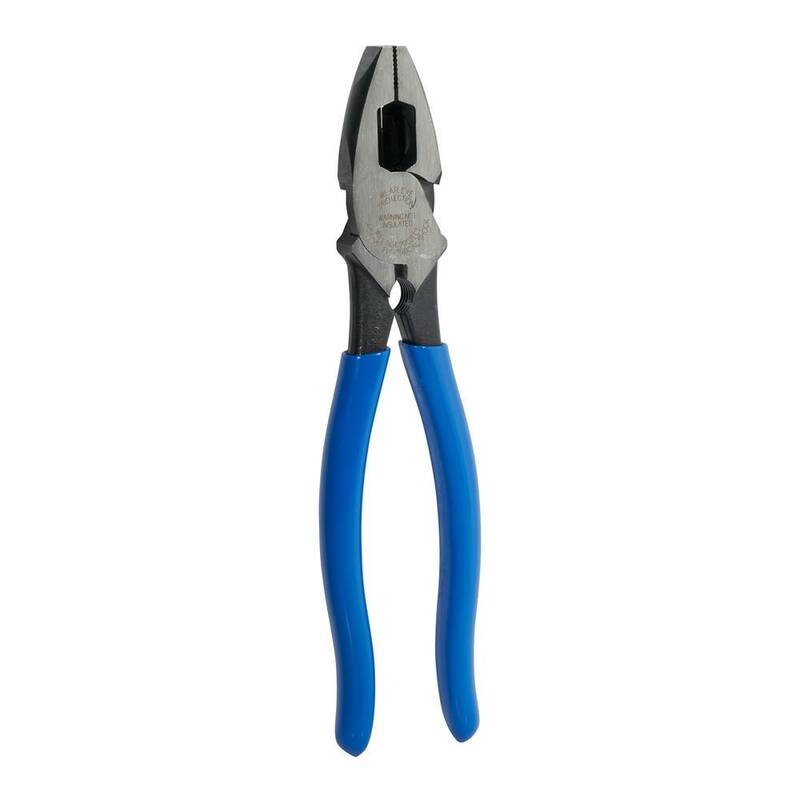 End 1 Fitting : 1/2" and 9/16"
End 2 Fitting : 5/8" and 3/4"
Heads made using heavy forged construction for durability and long life.